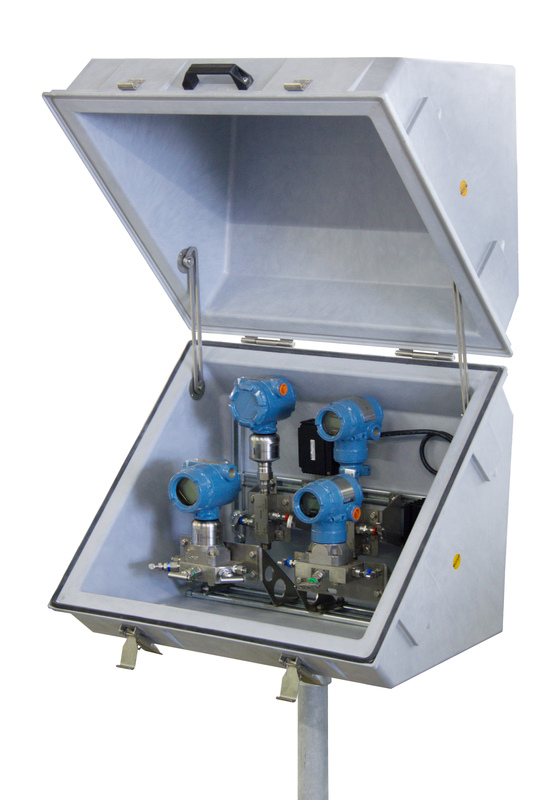 Sarnia, Ontario, Canada, November 11, 2014 --- A new high capacity, easy-access enclosure from Intertec provides plant engineers with a versatile alternative to free-standing cabinets for the environmental protection of field-based process instrumentation. Developed at the request of a Russian oil refinery, the enclosures are made from tough glass reinforced polyester (GRP) and include highly insulated options for use in extremely cold climates. They also offer more space than typical instrument enclosures, to allow plant personnel to use gloved hands when accessing the equipment. 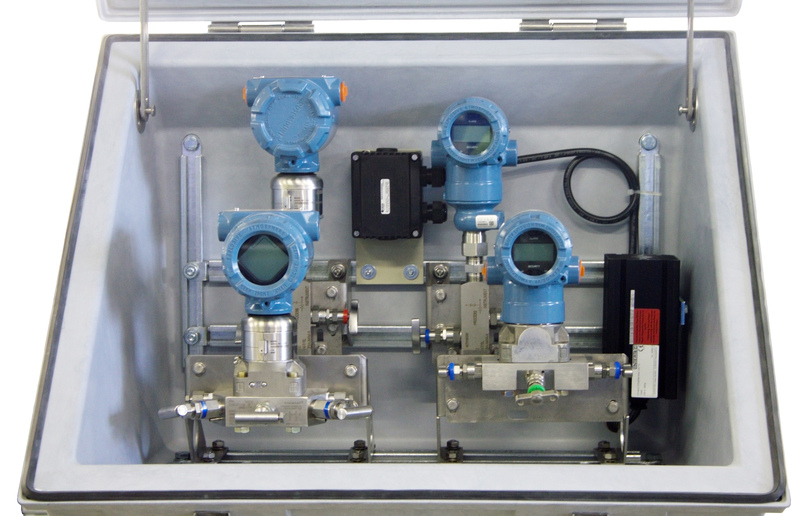 Typical applications include housing differential pressure flowmeters and process transmitters in refineries, petrochemical and chemical processing plants. The new enclosures are the latest addition to Intertec’s Diabox range of instrumentation protection solutions, which are molded two-part enclosures that open diagonally to provide easy access for operating and maintenance staff. The new Diabox 277 enclosure measures 600 x 750 x 600 mm (23.6 x 29.5 x 23.6 inches) and has an internal volume of approximately 277 liters (9.8 cubic feet), depending on the level of insulation specified. Manufactured from a high-performance grade of GRP using a hot-press molding process, the standard versions of the enclosure provide an exceptionally robust and rigid housing; they have a wall thickness of 6 mm (0.23 inch) yet typically only weigh 18 kg (40 pounds). 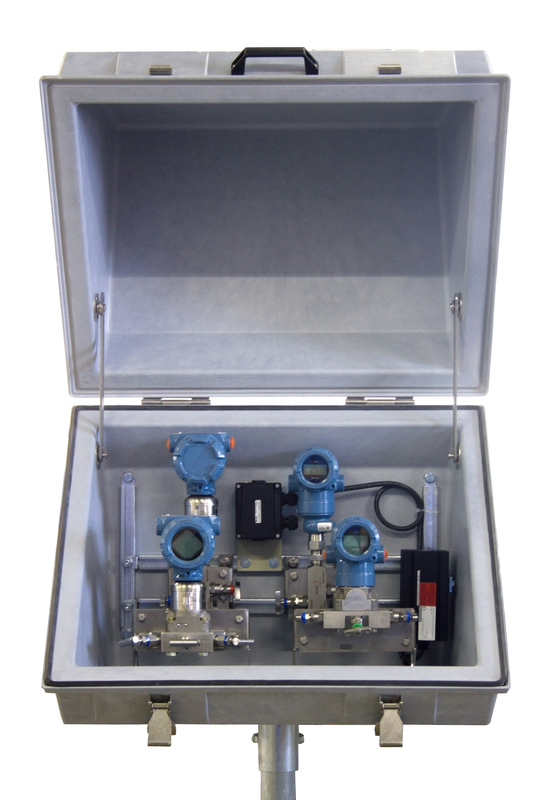 This combination of rigidity and low weight means that the enclosures can be mounted on small-footprint pipe stands or clamped directly to process pipes, making them ideal for protecting instruments in locations where free-standing cabinets would be impractical due to the amount of ground space they require. For applications that require protection against extremely cold conditions, Intertec produces an ‘arctic’ version of Diabox 277 that is suitable for use in temperatures as low as minus 60 degrees Celsius (minus 76 degrees Fahrenheit). 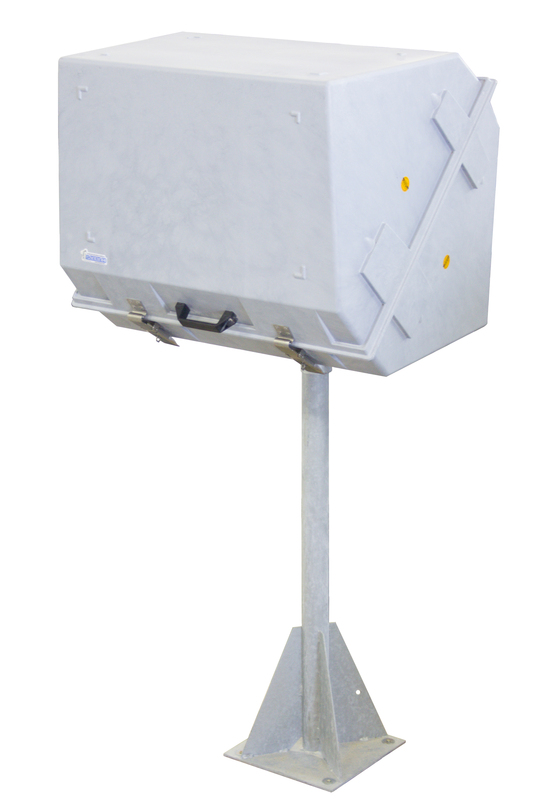 This enclosure is manufactured from a proprietary composite ‘sandwich’ material, comprising inner and outer walls of GRP enclosing a closed-cell polyurethane (PU) foam core. The inner GRP wall provides a smooth, easy-to-clean finish. It also protects the foam against accidental physical damage, such as might be caused during equipment installation, routine maintenance or cleaning, thereby maintaining the enclosure’s thermal integrity and performance. Despite its large size, the Diabox 277 has a very low heat transfer coefficient of 13 W/K, which minimizes the power rating and operational cost of any freeze protection, anti-condensation, or temperature regulation heating that may be fitted. In the case of the ‘arctic’ version of the enclosure, its GRP-PU foam-GRP walls provide uniform and near-perfect insulation, resulting in an exceptionally low heat transfer coefficient of just 2.4 W/K. Hundreds of accessories are available to configure the enclosure for specific applications. Among the options are viewing windows available in acrylic-, safety- or insulation-glass variants, and a special insulated adapter to prevent heat loss at the point where impulse lines and heat tracing cables enter the enclosure. The inner and outer layers of the composite material can be produced using an electrically conductive form of GRP to comply with the antistatic requirements of the international IEC EN 60079-0 standard for equipment used in hazardous environments where explosive gas or dust may be present. For applications that demand purging, Intertec offers a specially sealed Ex p version that is prepared for pressurization in accordance with the IEC EN 60079-2 standard. The latest addition means that Intertec’s Diabox range of enclosures now includes six models, with capacities ranging from 27 up to 277 liters (0.9 to 9.8 cubic feet), enabling plant designers to choose the optimum size for their application – for single or multiple process instruments.